23 Jan Boniato 101: What is Boniato? Boniato, botanically classified as Ipomoea batatas, is a nutty-flavored root vegetable in the same family as sweet potatoes. 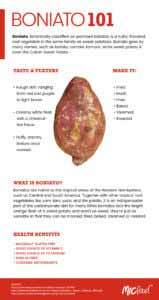 Boniato goes by many names, such as batata, camote, kamura, white sweet potato and even the Cuban Sweet Potato. While boniatos lack the bright orange flesh of a sweet potato and aren’t as sweet, they’re just as versatile in that they can be mashed, fried, baked, steamed or roasted. With a rough skin ranging from red and purple to light brown, boniatos have a gentle, chestnut-like flavor. Their flesh is creamy white with a fluffy, starchy texture once cooked. Boniatos are native to the tropical areas of the Western Hemisphere, such as Central and South America. They made their way to Asia through pre-Incan explorers traveling to Eastern Islands and today nearly 90% of the world’s boniato comes from Asia. Florida has also become a major producer of Boniato because of its popularity and high demand. Together with other tropical root vegetables like yam, taro, yuca, and the potato, it is an indispensable part of the carbohydrate diet for many. Boniatos are a good source of vitamin C, potassium, fiber, and antioxidants. Similar to yuca, they’re high in fiber and carbohydrates, which are a good source of energy for those who are engaged in extraneous physical activities, such as sports. It is also said that their high antioxidant properties help fight free radicals that damage cells, but there is no scientific evidence proving this claim. Traditionally, boniato can take up to half an hour to prepare and cook. 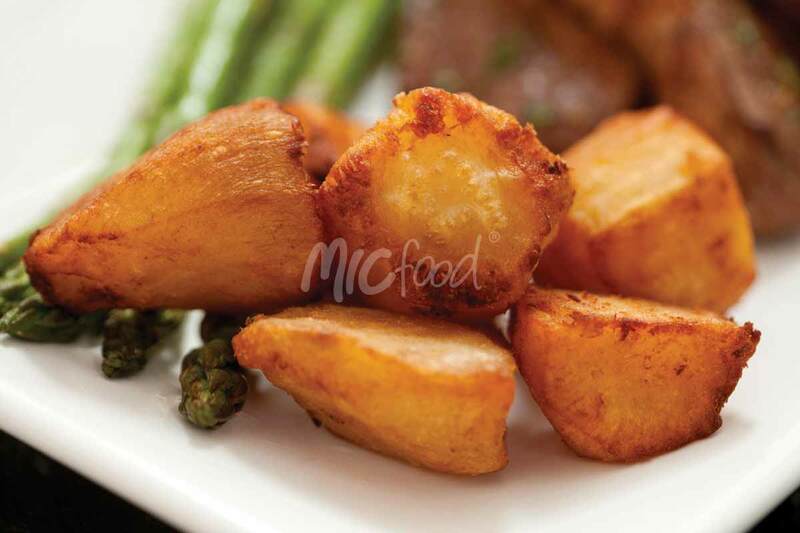 Here at MIC Food® we are helping chefs, restaurants, industrial kitchens, retail brands, delis, and others in the food industry rethink their menus and increase appeal among ethnic and mainstream consumers alike. We provide variety of boniato products that come peeled and cut, ready-to-heat and serve, saving you hours of prep time so you can focus on what matters the most: making every meal memorable. 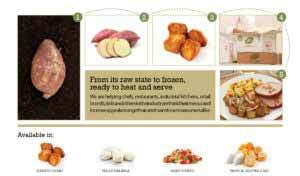 Ask Our Chef about how you can incorporate yuca into your menu! Hungry for more? Check out our recipe page which highlights how versatile boniato really is! Related Articles: Yuca 101: What is Yuca, Plantain 101: What is a Plantain?